Mykonos together with the smaller island of Delos make up a single island complex. Mykonos is situated 94 nautical miles south east of Piraeus and spans over an area of 85sq.km. The island can be reached by air from Athens, Thessalonica and Santorini, or by ferry directly from Piraeus or Rafina. The trip by ferry takes about 5-6 hours although someone can use the Catamarans (fast boats), which take half the time of the ferries. 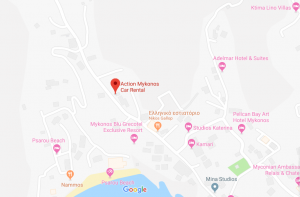 Mykonos is one of the most popular tourist islands both in the Mediterranean and worldwide since visitors from all over the world- some of whom famous jet setters and celebrities, travel here since 1960’s. Narrow, winding, traditionally paved alleys, beautiful whitewashed houses with blue windows together with gold sanded beaches with crystal clear waters characterize Mykonos. Every beach in Mykonos is sure to impress you in its own way. Most beaches can be reached by car or scooter rental, since the radial roads of the island starting from the Mykonos town stretches nearly too each corner. Here is a selection of the best. Mykonos holds high marks among leading clubbing destinations in the Mediterranean and the nightlife, consider one of the best in Europe. Mykonos has rightly earned the title of most cosmopolitan island of Greece. Here is a selection of some. Don’t forget to pay a visit at the Museums of Mykonos. Three of the well known museums that a huge amount of visitors admire every year.